The Community Design Center Rochester is pleased to announce the award winner from the Development / Design Fund Spring 2015 grant cycle. This cycle’s winner is the Cottage Street Book Club (CSBC). Grant funding awarded will be used for planning and design of a park desired at 1158 South Plymouth Avenue Rochester, NY. Congratulations! The CSBC was led to this project through its community believing that this vacant lot is a gateway to the neighborhood. Residents with little financial resources voiced this desire already through raising a small amount of money for the project, obtaining a permit by the City to have a garden on the parcel, and submitting a purchase offer to the City for the lot. Residents wish to beautify the area while encouraging the celebration of the history and ancestry in the neighborhood. The space will allow for readings of poetry, performance of plays, and the creation of art. Below are completed projects that have been funded by the Development/ Design Fund program. 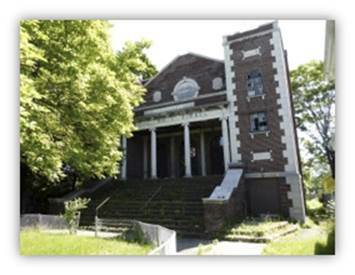 The Joseph Avenue Business Association (JABA) applied for a grant from the Development/Design Fund to complete a pre-development feasibility study exploring possibilities for the adaptive reuse of a decommissioned historic synagogue located at 692 Joseph Avenue. B’nai Israel - Ahavas Achim Synagogue was looked at during a visioning process for the Joseph Avenue corridor as a potential anchor and catalyst for redevelopment in the community. An initial concept was to celebrate Joseph Avenue’s rich history and create of a Museum of History and Religion. JABA partnered with 501c3, Group 14621 and were awarded $5,000. Pardi Partnership Architects were selected to create conceptual designs and estimate projects costs. An additional grant awarded by the Max and Marion Farash Charitable Foundation was used to hire consultants who focused on marketing, financial and legal issues associated with the project. All of the consultants collaborated to create a comprehensive feasibility study documenting their findings. The Dazzle School of Visual & Performing Arts Inc. 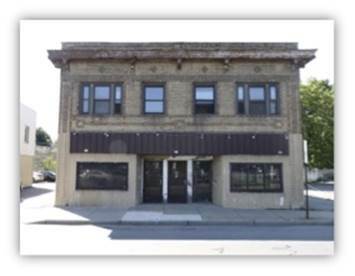 The Dazzle School of Visual & Performing Arts applied for a grant to be used explore possibilities for the adaptive reuse of an early 20th century two story commercial building located at 130-134 Webster Avenue adjacent to their existing school and theater. After years trying to obtain the building, Dazzle finally secured the property in a city tax auction with hopes to rehabilitate it to be the newest addition to the “Dazzle Campus”. The Dazzle School of Visual & Performing Arts serves and cares for those with developmental and intellectual disabilities, as well as being proponents of improvements to the surrounding Beechwood Neighborhood. They were awarded $5,000 in a grant from the Development/Design Fund Program and selected Pardi Partnership Architects as their consultant to help them pursue their goal. Conceptual plans and drawings illustrate programmatic objectives, outline the options for potential phasing of the redevelopment and have helped with cost estimates for the project. Seeking to enhance a vacant lot in their neighborhood, the Changing of the Scenes Neighborhood Association (COTS) applied for Development/Design Fund grant. Since COTS is not a 501c3 they partnered with the Sector 4 Community Development Corporation. COTS and Sector 4 CDC were awarded $5,000 to complete a predevelopment study of the site located at 301 Adams Street in the southwest quadrant of Rochester. The lot is the former residence of local community activists James and Bessie Hamm. McCord Snyder Landscape Architecture, PLLC, was selected to work with COTS in completing the study. The concept is for the site to become a place to honor the Hamm family, African-American community activists who opened their home to help area students achieve academically. James and Bessie Hamm also established the Ralph Bunche Scholarship Fund for youth. This transformed site will serve a number of local groups including the neighboring School #4, where local historian Dr. Anderson relates the story of the Hamms through storytelling and reflection. The Adams Street Block Club hopes that this project will be the seed to spur the neighborhood’s growth. The North Winton Village Association (NWV) has been working to improve the appearance of East Main Street for approximately 12 years. They hope to build upon their efforts started to improve the corridor previously funded through façade improvement grants. They were awarded a grant from the Development/Design Fund for $7,500 to explore changes to that will restore 16 building facades for commercial properties located along the East Main Street corridor between Culver and Winton Roads. NWV selected Architectura, PC as the consultant to provide conceptual re-designs and detailed lists of improvement costs for the selected buildings. The NWV has already used the work produced to leverage funding for these projects in their application for funding through the New York State Main Street Grants Program. This project, initiated by local parents and community members, focuses on increasing accessibility to healthy/locally grown food to an area of the city that has been identified as a “food swamp.” Building upon an existing network of food access and education, the project site will become another hub for healthy food access and fostering social connections. The award will be used to design a conceptual site plan and programming for the property located at 359 Webster Avenue, behind the Freedom Market. In addition to improving the neighborhood’s health, long term goals include strengthening relationships across the community. The IADC was seeking predevelopment funding for architectural and planning services that would help to prioritize the development of two sites within the El Camino area. This award will support phase 1 of this project which will explore the feasibility and site selection of two locations that might be transformed into a new community space. Working extensively with residents, they collectively view developing a sustainable community site as the next step in neighborhood progress. The eventual building rehabilitation will not only improve the aesthetics of the neighborhood but also provide a place that supports community activities and events.